The Asus Zenfone 5Z was the first phone among many to join the league of devices which come with the top end Snapdragon 845. Followed by this phone, we got to witness many new devices like the Honor Play and the Poco F1 which meet the expectations just right when it is about performance. The Poco F1 in this segment took the market by storm by debuting with a price tag which was below Rs 25,000. Now, this new price tag might dull the shine of the Poco F1 thanks to the latest offer which the Asus Zenfone 5Z is going to come with. 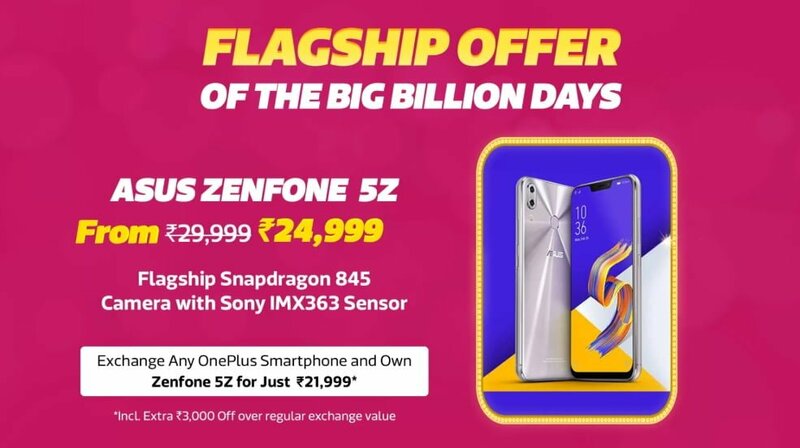 During the Big Billions Day Sale on Flipkart, the Asus Zenfone 5Z will be retailing with a discount for Rs 5,000. With this price reduction, the Asus Zenfone 5Z will be competing head-on with the Poco F1 during this time. 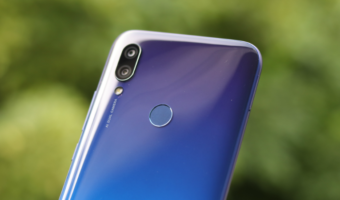 Also, there will be a lot of takers who will prefer the Asus Zenfone 5Z over the Honor Play with this discounted price tag. Notably, to offer the Asus flagship device at this price range, Flipkart and Asus have joined hands and they will be selling the phone as part of the ‘Flagship Deal of The Season’ during the Flipkart Big Billion Days Sale. Another thing to note is that, during this time, all variants of the Asus Zenfone 5Z will be available with a discount of Rs 5,000. The entry-level option of the Asus Zenfone 5Z which comes with 6GB RAM and 64GB storage bears an original price tag of Rs 29,999. However, during Flipkart’s Big Billion Days Sale the phone will be available for Rs 24,999. On the same lines, the 6GB+ 128GB internal memory of the variant will retail for Rs 27,999 as opposed to Rs 32,999. The highest variant of the Asus Zenfone 5Z which comes with 8GB RAM and 256GB internal memory will come with a Rs 31,999 price tag. What’s interesting to note here is that the new pricing of the Asus Zenfone 5Z keeps it right beside the Honor Play’s 6GB RAM + 64GB internal memory variant which comes with a price tag of Rs 23,999. The Poco F1 also coincidentally comes in at a similar price point of Rs 20,999 for its base variant. Apart from the Rs 5,000 discount as part of the limited sale. Flipkart will also offer 10% discount to HDFC debit and credit card holders. There is also going to be an exchange bonus of Rs 3,000 from Flipkart for customers who opt-in for the same. Flipkart will be also throwing in a Complete Mobile Protection Plan for Rs 99 as opposed to its original pricing of Rs 799. 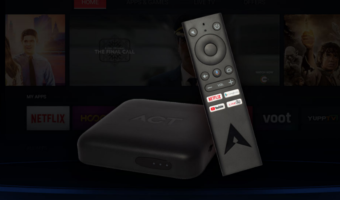 Besides, the e-commerce giant will be offering a 50% buyback if the buyers return the device within eight months. Given all of these offers, we won’t be surprised if a lot of buyers rush to buy the Asus Zenfone 5Z over Honor Play or the Poco F1. The Asus Zenfone 5Z comes with a 6.2-inch Super IPS LCD panel spilling an FHD+ resolution of 2246×1080 pixels on a 19:9 aspect ratio with a notched display. Thanks to the notch, the phone averages a screen to body ratio of 90%. Under the hood, the phone sports a Qualcomm Snapdragon 845 processor clocking speed of 2.8 GHz and it pairs with Adreno 630 GPU for graphics. The dual rear camera setup on the back comprises of a 12MP primary shooter with an 8MP depth sensor. On the front, the device comes with an 8MP selfie snapper. 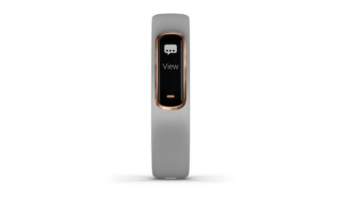 Additionally, the phone debuts with NXP 9874 Smart AMP, Dual 4G VoLTE, DTS Headphone X, rear-mounted fingerprint sensor and a Face Unlock. The phone comes with a 3300mAh capacity battery along with ASUS BoostMaster for fast charging.